and listen to documents as they are read aloud. Combining a clear voice with magnification or high contrast makes reading so much easier. 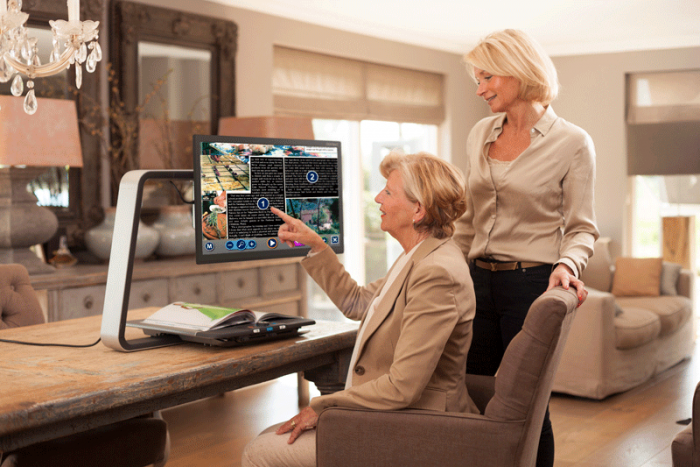 When we started to develop this desktop video magnifier, we wanted to eliminate all of the difficulties users experienced. After extensive research involving our clients, we came up with a completely new design. 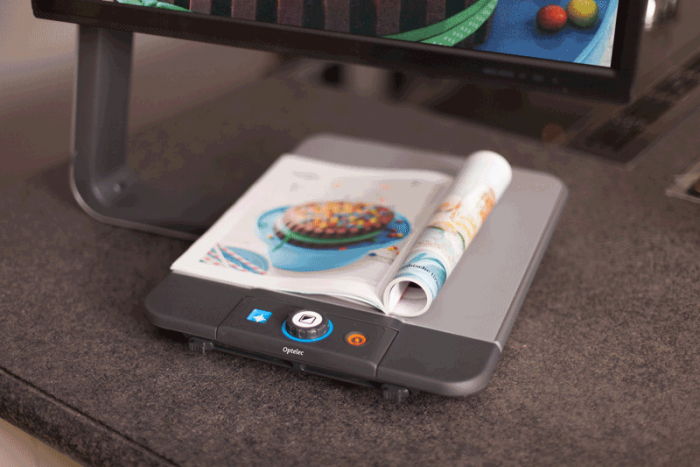 The ClearView C Speech can instantly convert any printed text into speech. It makes it possible to have access to information in a way that is most comfortable and easy to you. Especially long texts are now easy to read. To scroll through documents, swipe with your finger on the touch screen and select the text of your interest by simply pointing at a paragraph, column or word. It is that easy. 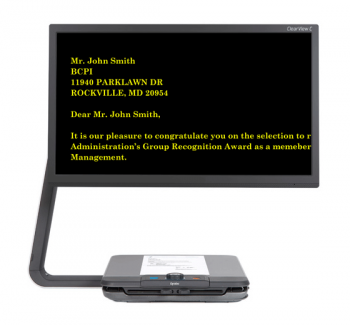 The ClearView C Speech displays full pages and automatically identifies the document layout. This ensures that you navigate quickly, you always know where you are and never lose your place. 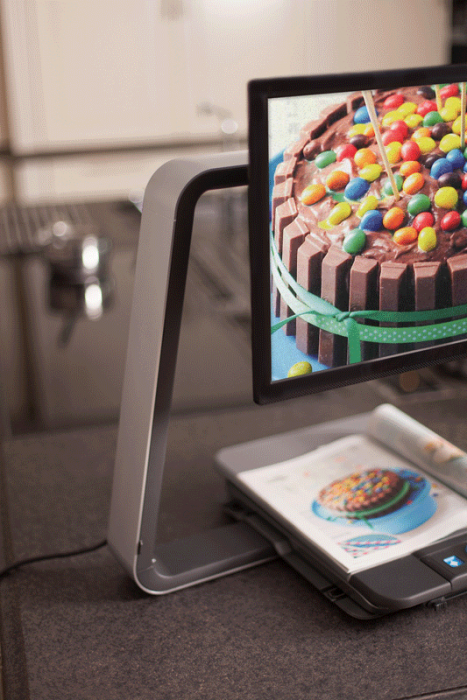 With the ClearView+ Speech, you have the freedom to save important letters or books or view your digital photos. Store the documents or view your photos on a SD card or on a USB drive and access them when they are needed. The ClearView C is designed to make reading more comfortable and to match the interior of your home. It looks modern and stylish so it perfectly fits your living room.